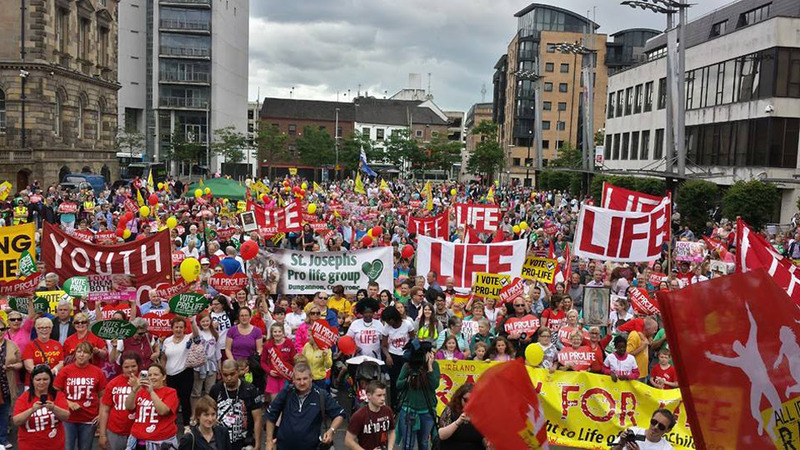 BELFAST, Northern Ireland – A major pro-life rally in Belfast on Saturday heard from parents whose children had life-limiting disorders and who say that better support for families, not abortion, is the answer when children are diagnosed with severe disabilities in the womb. "She was alive, I felt her move, and babies with Trisomy have lived for hours, days and weeks after birth. The length of that life does not make it less of a life," said Bradley. Referring to the abortion legislation enacted in the Republic last year, she told the huge crowd that "it was an unjust law that had no moral authority," warning that the bill would be overturned. Former MEP Dana Rosemary Scallon said that it was "a great turnout, it's a celebration of life and we want to protect life at all its stages."